keep you up to date on new facts or data on vegan babies, children, and adults. To subscribe to the Vegan Momma blog (no email necessary,) right click on the orange RSS button (see buttons on the left,) and then paste the URL into your RSS reader. Or click on the My Yahoo! or My MSN or Add to Google or newsgator or Bloglines button if you have a home page with one or all of them. Click on the blue question mark to learn more about RSS. Once you start using it, you will be amazed at what RSS can do. Become part of the Vegan Blog! 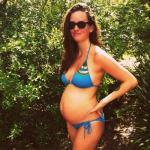 Simply tell your favorite pregnancy story by clicking here! Your story becomes part of this blog (which shows the site's most recent pages) and a permanent part of Vegan-Momma.com for others to read! And I'll tweet your Web page at my Twitter account, too! My vegan pregnancy information course follows you on your 10-month journey to giving birth, giving you support, recipe ideas, food tips, and answering your burning questions. 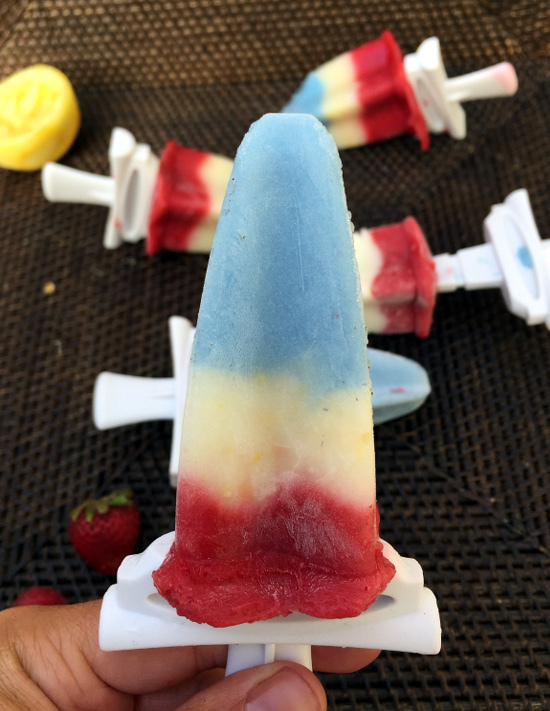 Continue reading "Vegan Pregnancy Information Course"
Continue reading "Is it safe to lose weight while pregnant"
Continue reading "Vegan children and non-vegan grandparents "
This bomb pop recipe is perfect for your vegan kids; it has no added sugar, just vegan yogurt and fruit. Continue reading "Homemade Bomb Pop- Vegan and Natural"
Are Soft Vegan Cheeses Okay to Eat During Pregnancy? 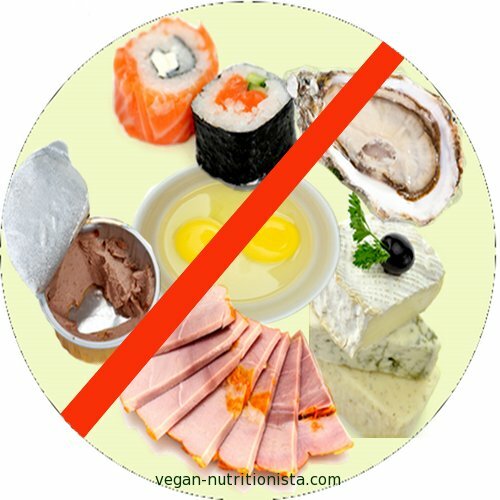 Continue reading "Are Soft Vegan Cheeses Okay to Eat During Pregnancy?" This is a delicious homemade fortified almond milk base recipe that provides your children with as much calcium, protein, vitamin D, and vitamin A as any cow's milk on the market. Continue reading "Vegan Homemade Fortified Almond Milk"
Continue reading "Vegan Baby Bowel Movements"
Continue reading "Vegan Pregnancy with Twins"
Continue reading "Vegan Sources of Choline"
Continue reading "Going vegan during pregnancy"
In the march through the third trimester, one of the best things you can do for yourself is prepare some postnatal meals ahead of time. This vegan bean burrito recipe is perfect. Continue reading "Vegan bean Burrito Recipe Perfect for Postnatal Meals"
These are the most soothing, relaxing, beneficial pregnancy yoga poses for you to focus on while carrying your baby. Continue reading "Soothing Pregnancy Yoga Poses"
Getting the proper nutrition during pregnancy is easy if you follow a well-balanced healthy vegan diet, but be aware of needs for folic acid, vitamin B12, and vitamin D during your vegan pregnancy. 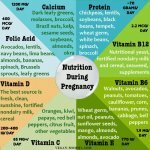 Continue reading "Proper Nutrition During Pregnancy Eases Pregnancy Symptoms"
Foods to Avoid During Pregnancy: Are Any of Them Vegan? On the popular list of foods to avoid during pregnancy, you might notice a small trend; almost none of it is vegan. Check out why you shouldn't eat fish, meat, or dairy during pregnancy. Continue reading "Foods to Avoid During Pregnancy: Are Any of Them Vegan?" Continue reading "Giving Baby the Best By Being Vegan"